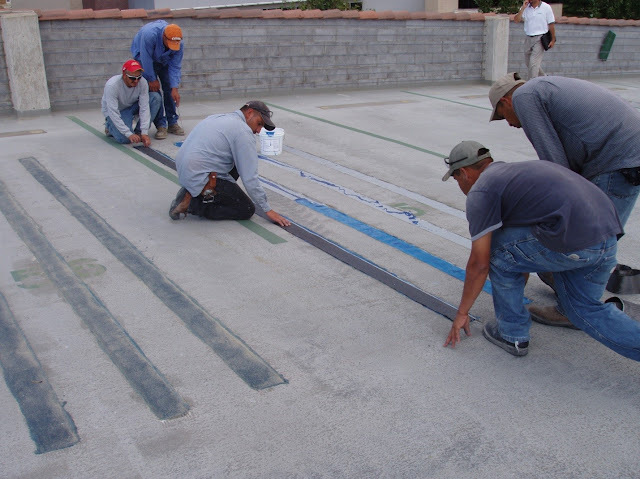 Fiber reinforced polymers (FRPs) are often used for retrofit and specialized applications even though they are not common for primary structural systems. For those unfamiliar with FRPs, carbon fiber and glass fiber sporting equipment such as surfboards, bicycles, and golf clubs may provide the best example of the material. FRPs are applied by impregnating a fiber such as carbon or glass with a polymer such as epoxy. Once the polymer hardens, the fibers provide the bulk of the structural strength and stiffness while the polymer maintains the shape and protects the fibers. FRPs are convenient in that their properties are customizable by varying the size and orientation of the fibers. This blog post is concerned with the climate impact of FRPs. How high are their greenhouse gas (GHG) emissions? What place do FRPs have in minimizing climate impact of structures? The greenhouse gas (GHG) impact of FRPs has been summarized in a chapter of a recent ASCE publication, Structural Materials and GlobalClimate: A Primer on Carbon Emissions for Structural Engineers. This post presents the main conclusions of the FRP portion of that publication. By weight, the GHG emissions from FRPs are relatively high when compared to materials such as steel or concrete. However, FRPs can be competitive with other materials on a GHG-basis due to their high strength-to-weight ratios and their potential for use in retrofit applications that greatly extend the life of structures. The high strength-to-weight ratios of FRPs makes them competitive with other materials despite their high emissions per unit weight. Sufficient strength can be achieved with a relatively low amount of material. For example, the strength of a carbon-epoxy FRP is around 220 ksi, while most steel is well below 100 ksi. A comparison of GHG emissions based on the amount of material required to resist the same force at ultimate stress suggests that FRPs emit between 18% and 29% of the GHGs emitted by steel. Details of this comparison can be reviewed in Structural Materials and GlobalClimate: A Primer on Carbon Emissions for Structural Engineers. 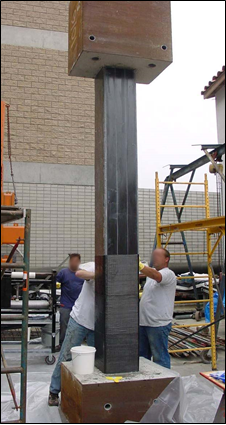 A second reason that FRPs are competitive with other materials is their utility in retrofit applications that can greatly increase the service life of a structure. If the judicious use of FRPs can avoid the need to demolish and reconstruct, then all of the GHG emissions associated with those operations can be saved. The net impact, even if GHG emissions from FRPs are relatively high, can be much lower in the retrofit case. Each situation is different and it is impossible to make general conclusions about the overall GHG emissions from any given project and no material is hands down better than any other. Rather, the GHG impacts of each material are one of the many factors for their selection in a structural system. There are many other aspects of the behavior of FRPs that influence its use as a structural material (e.g, cost, environmental resistance, and brittle behavior of FRPs requiring higher safety factors) but there is no doubt that FRPs have a place in environmentally-responsible construction. Great content. We love it.. keep posting.